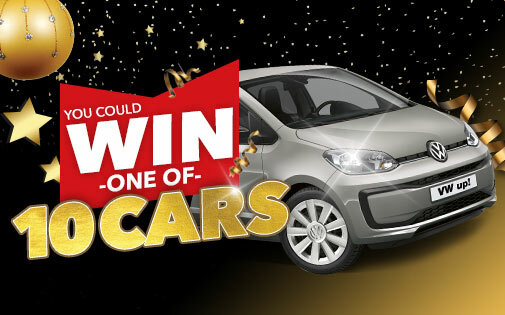 Shoprite’s BIGGEST car giveaway has landed in Namibia! We have a total of 10 VW up! cars to be won! You could be 1 of 10 lucky winners! Get one entry for every NS 100 you spend and every participating brand that you buy. You could be driving off in a brand new sleek, silver VW up! Hurry and enter today! Check your till slip for details. Ts and Cs apply. Valid 19 November – 24 December 2018.